Even though no volume production timepiece really stood out from Jaeger-LeCoultre at SIHH 2019, in my opinion, one area the Le Sentier-based watch company always impresses are the top-of-the-line Hybris Mechanica timepieces. Preceded by the 2004 Master Gyrotourbillon 1, the 2008 Reverso Gyrotourbillon 2, the 2013 Master Grande Tradition Gyrotourbillon 3 Jubilee, and the 2016 Reverso Tribute Gyrotourbillon, this year Jaeger debuted the Master Grande Tradition Gyrotourbillon Westminster Perpétuel – the first multi-axis tourbillon with a constant-force mechanism, Westminster chime, and a perpetual calendar. All of these complications come in a relatively small 43 mm x 14.08 mm case, making it more wearable compared to a watch with larger dimensions. Although, if it was offered in titanium or steel, I imagine it would be even more “wearable” due to the simple fact that it would weigh a bit less. However, when you pay this kind of money, precious metals tend to be the norm. 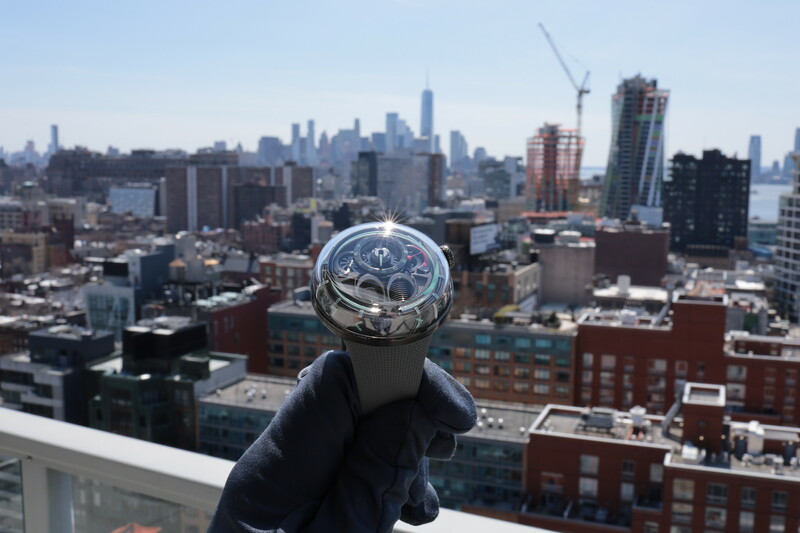 Still, as evidenced by Patek Philippe and other highly collectible brands, steel watches, in particular, tend to do very well, so perhaps it’s time to try something sportier. With the workplace and society becoming more and more casual, maybe our watches, even at the ultra high-end, should too. Possibly the white gold enhances the sound the most, although I’ve heard different opinions on what metal sounds the best depending who I’ve asked for years, so I think there’s no consensus in that regard. Jaeger has managed to provide a lot of functionality in a small space. 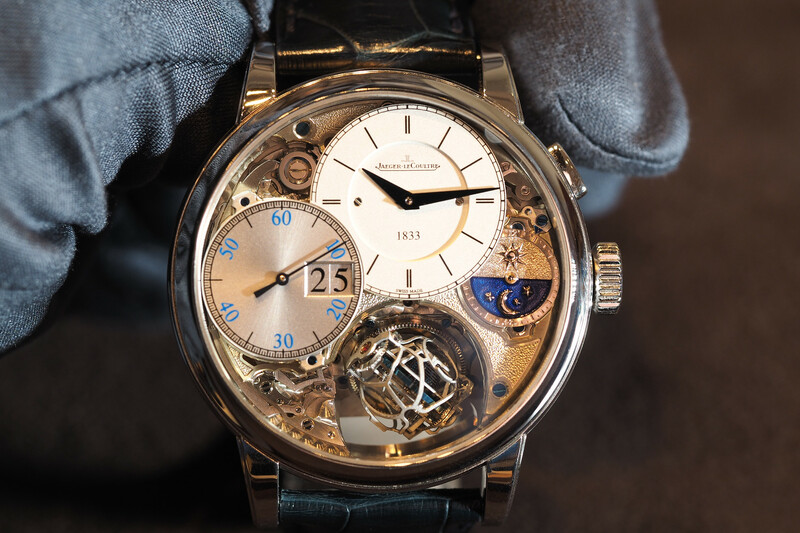 The complete functions list include hours, minutes, jumping date, two-way perpetual calendar (day/date/month/year), Gyrotourbillon, and a Westminster carillon minute repeater. 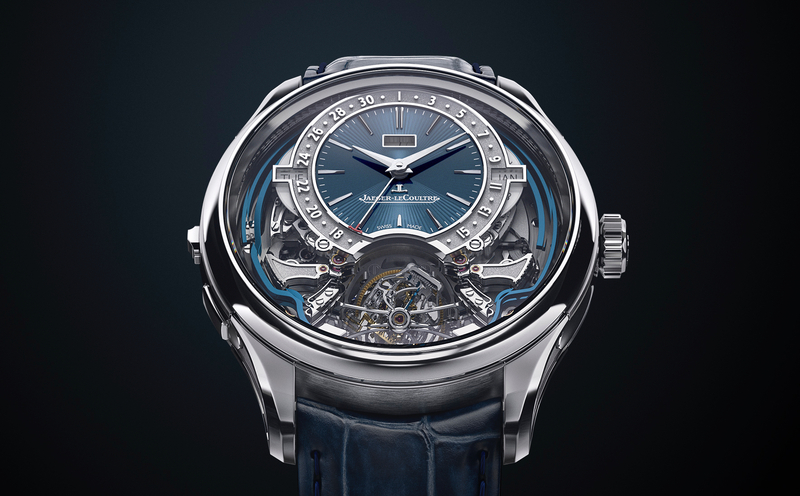 Distinctively, in addition to a full view of the multi-axis tourbillon on the dial side, the watch has a completely open-worked view of the gongs and hammers which produce the famous Westminster chime (the same chime as Big Ben in London). 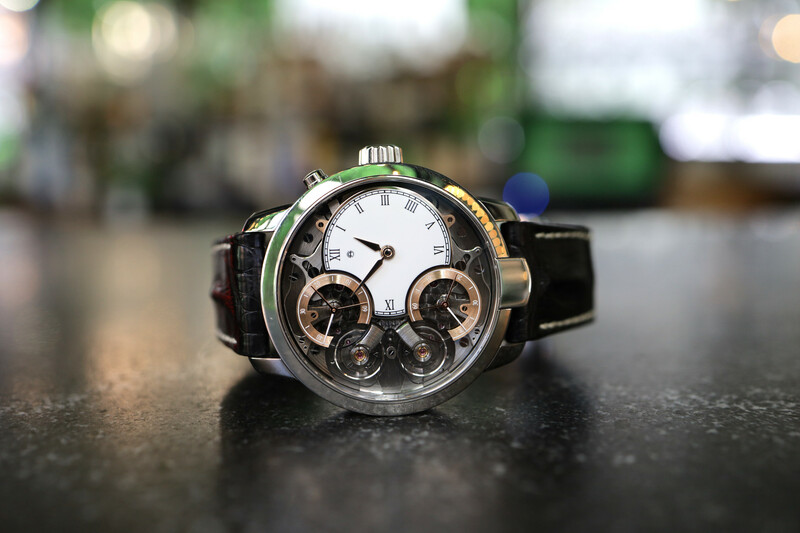 The watch also incorporates a one-minute constant-force mechanism to provide consistent energy to the tourbillon, resulting in a precisely jumping minute hand and a more precise minute repeater mechanism. Movement finishing at this price range should be perfect, and it appears they’ve achieved that. Every component has been meticulously hand finished, with a flawless mixture of frosted, beveled, matte, polished, and decorated surfaces. Limited to just 18 pieces Jaeger’s latest Hybris Mechanica watch comes with either a blue guilloché enamel (shown) or silver grained dial (Ref. Q52534E1, Q5253420). Retail is approximately $910K.